With a 30-second spot costing around $5 million, expectations are high for commercials during the Super Bowl. But this year the ads were pretty underwhelming. 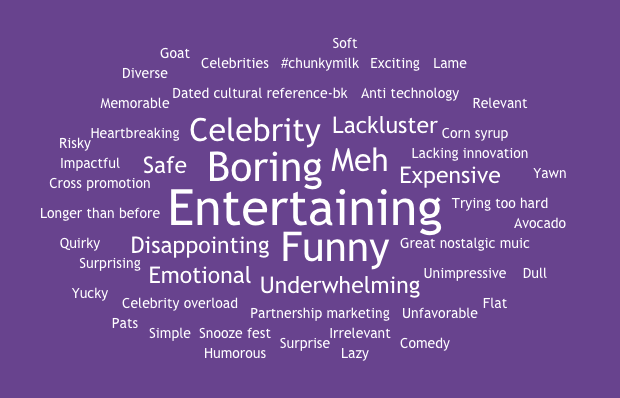 Brands largely played it safe, relying on light humor and heartwarming messages to tell their brand story. While these are effective, tried-and-true marketing strategies, we watch the Super Bowl for bold, controversial, hilarious, and shock-and-awe. Joe Takach, CEO and Founder at Meridian Group – a creative type who appreciates a great concept and execution. Ken Wayland, Executive Vice President, ndp agency – effective marketing strategies really catch his interest. Sarah Darrow, Content Strategist, Old Dominion University – the digital and social aspects of a campaign speak to her. Ashley Smith, Daybreak Anchor, 13NewsNow – with her background, she intuitively understands what resonates with people. To begin, each panelist shared which spot they considered to be the best. Ashley & Ken: Bud Light. Ashley “appreciated the conversation that happened thereafter,” referring to the almost instant buzz from other beer giants as well as corn farmers. Ken called it a great “disruptor,” as there were too many other safe commercials this year. First and foremost, because of Harrison Ford. But in all seriousness, she said it was great because it was “shareable.” There were multiple parts of the full ad that can be cut and reused elsewhere while still getting across the same message. As any digital content strategist knows, ads like that are the gift that keep on giving. “It delivered,” plain and simple. There were few questions about what the message was after watching this spot. These results stirred up a brief conversation about Game of Thrones in general. Apparently you’re a fan and you loved Bud Light: Jousting Match or you don’t get it and were totally confused why a fire-breathing dragon was part of it. As expected, Burger King won by a landslide in the category of “WTF.” Although it got people talking, the overwhelming response from our panel is that Burger King missed the mark and seemed to not understand its target audience. Only six or seven people at our luncheon even recognized that it was Andy Warhol. Priority Automotive won everyone’s hearts with their VBSPCA ad. “Animals are low hanging fruit,” says Sarah, who thought the ad was right on target. She’s correct, that ads featuring cute, lovable animals are almost guaranteed to perform well. Call it one of the few certainties of marketing and advertising. Ashley noted that although it was a more personal focus, the emotional pull was lost a little as they didn’t take time to tell the whole story with the pet. Nonetheless, it was a great spot. The Cox Communications ad that followed also had a family-focused message, but with a surprise element to highlight their services. Kudos to both brands! A surprising name on that list? Avocados from Mexico! Their strategy of teasing their commercials before the game and having a robust digital campaign before and during paid off. 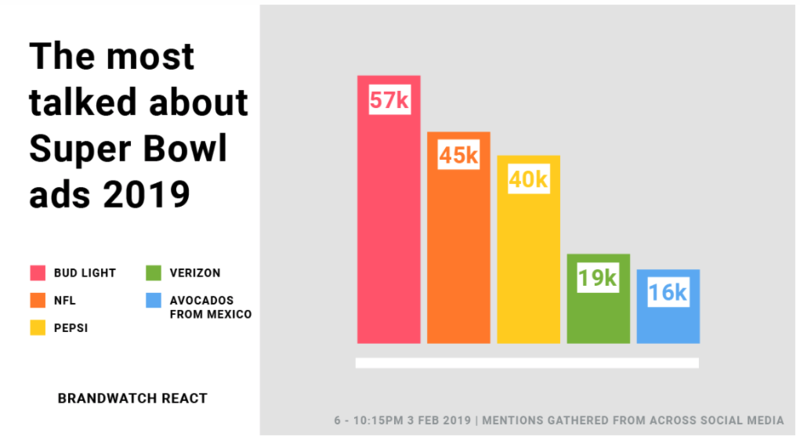 According to AdAge, in the last seven years, Avocados from Mexico has tripled the amount of fruit brought into the U.S. Keep up the super strategy, super food! Overall, there seemed to be more misses than hits, especially when you compare this year’s ads to 2018. 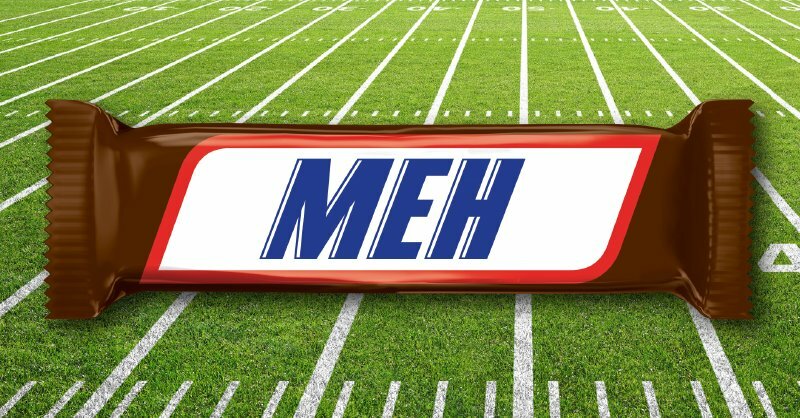 Some big brands from last year weren’t even in the game (we’re looking at you, Tide) and others we haven’t even heard of were trying to stand out (enough with the chunky milk, Mint Mobile). The only saving grace was that the game itself was a dud, so the ads were enough to carry someone to the final minutes. A bit of a mixed reaction, to say the least! We’d like to extend a big THANK YOU to our panelists, our moderator (you rock, Vanessa! ), and our attendees. This was a fun conversation and we look forward to a more exciting game and entertaining commercials in 2020. Want to know what’s next for AMA Hampton Roads? Click here to see what our upcoming events are and register today!